It is 1686 and in Puritan Amsterdam, the newly married 18 years-old Nella Oortman arrives at the house of her wealthy husband, Johannes. Her marriage was an arrangement between Johannes’s sister, Marin, and her own family. Upon her arrival, she met her waspish sister-in-law and their maid and former slave, Otto, but she didn’t meet her husband. She goes to her decorated, big bedroom to rest and wait for his arrival. Her sister-in-law comes and talks with her, telling her that they eat modestly and don’t eat sugar because it only reflects the greediness of the soul. Her husband comes later that night but doesn’t ask about Nella and when she comes down to welcome him he wasn’t thrilled. For days he never comes to her room which makes Nella feels sad and lonely. Later Johannes gives her a cabinet house as a wedding gift. This cabinet is a diminutive replica of his own house. Marin gives her a list of craftsmen who could help her decorate her gift cabinet. From this point, Nella encounters a series of puzzles. The miniaturist she commissions to make her things start to send her objects she didn’t ask for, but which are actually objects in her household ! Not only that, the miniaturist also seems to know about things that are about to happen to Nella and her new family ! Nella, unlike what the reader might expect, tries to understand what goes on around her and eventually knows about the secret her husband and his sister tries to hide. The miniaturist is a literally thrill. It is flooded with mysterious elements along with its dramatic effect. Its setting is so vivd which helps to enhance this effect, too. Burton describes everything in a beautiful prose. The readers are transformed from their comfy places to puritan Amsterdam with all its details. This is one of the things that makes me fall in love with this novel. The novel is full of biblical allusions and symbols represents puritan repression and austerity. Burton wants to reveal the hypocrisy of those who call for the repression of all desires while they secretly commit the same crime they ask others to withhold from doing. She also shows how in this hypocrite, puritan society people try to accuse others of sins to divert the eyes from spotting their own sins. People don’t hesitate to damn people doing something they themselves do if it will keep their hypocrite face shinning. Burton also shows the corruption of the church and who they use their power to steal money while they call upon people to be modest. Throughout the novel, puritan Amsterdam is contrasted to prosperous London. These elements together give the novel its main feature: it is a novel about what does it mean to live in a puritan society. Another important theme in the novel is the devoid, loss and deprivation the wife goes through when her husband abandons her. Nella felt so lonely because her husband ignores her although he provides her with money and food. But what she needs is more than this…she needs emotional stability. She needs not to be a sterile wife, she wants to be a mother.! She needs to love and be loved back. However, she was denied all this, and as a wife in such society she couldn’t make much about. However, Nella does try to change her situation by any means. In this she is revolutionary and feminist unlike her peers during that time. This dilemma in which Nella found her self living is very difficult. Many might think it is easy, but it is not. Nothing is worse than feeling lonely and rejected from someone you were prepared to love. Disappointment engulfs her because she thought this wedding is a gate to a new happy chapter in her life. By depicting several contrasted characters, The miniaturist examines several dimensions of the human soul. It reveals how each one of us has a myriad of emotions…we are never the angry, aggressive, cold or careless persons we might appear to be, deep down in each one of us there is a glimpse of kindness and love hidden. 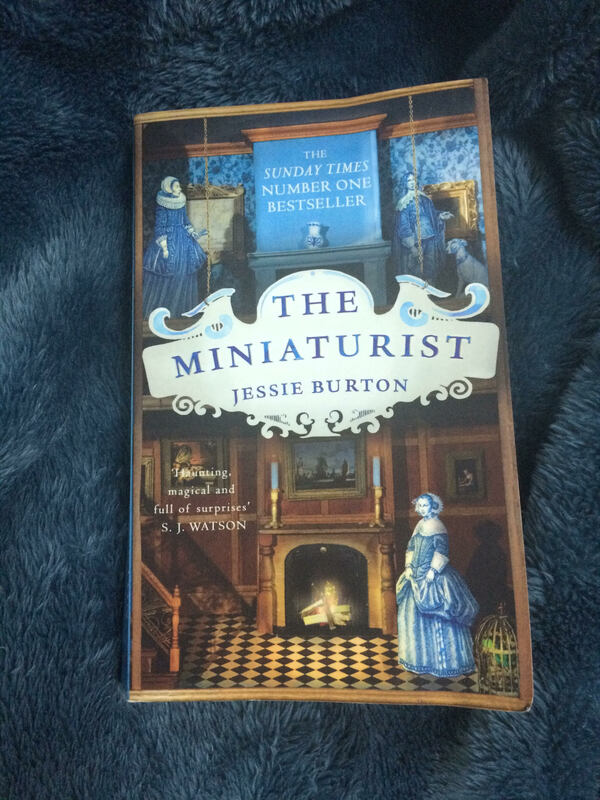 The miniaturist is Burton’s debut novel and it proves to be wonderful. I cannot wait to read another novel by her. Totally recommended.